He graduated with a BComm (Hons) from UNSW and has a PhD from The University of Melbourne. He has previously held academic appointments at UNSW, University of Southern California, The European University Institute, Deakin and Monash universities. 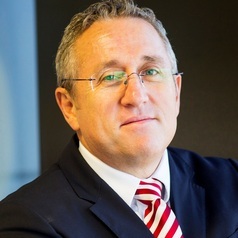 Between 2001 and 2004 he worked as a senior public servant in Victoria, as Director of Workplace Innovation in the Department of Innovation, Industry and Regional Development. He is currently director of the newly established Centre for Workplace Leadership at the University of Melbourne. Peter has published widely on labour law and labour market regulation, Australian employment relations, enterprise bargaining and high performance workplaces.